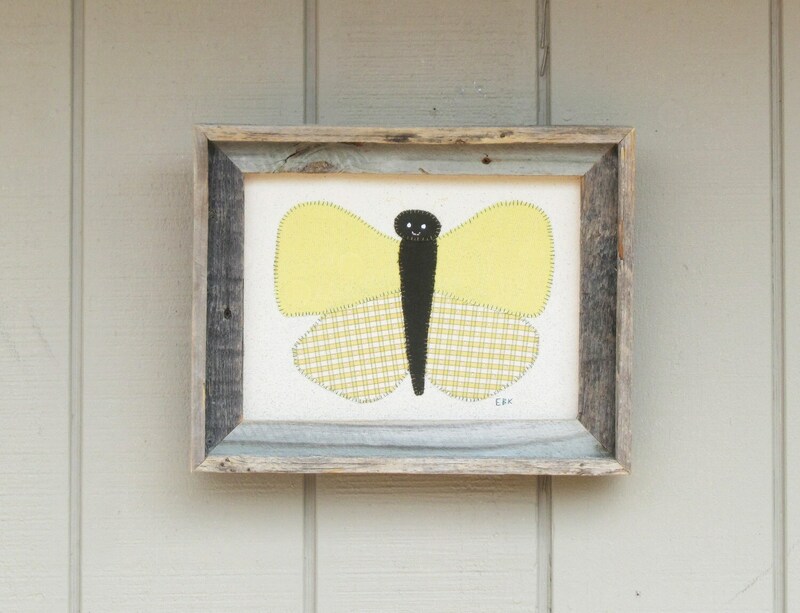 Yellow Checks Butterfly in Barn Wood is made from duck canvas and up-cycled fabric remnants. My Nana would reuse everything (clothes,buckles, buttons, zippers, etc.) on other projects since the Great Depression. She was always working on a new project, usually with some embroidery or reinventing a house dress. 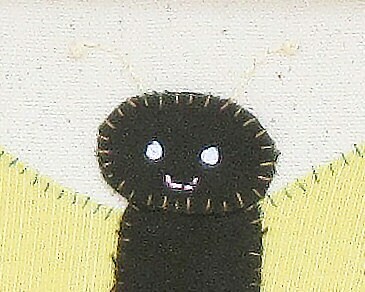 She and I are kindred spirits, and I love to recycle fabric remnants, clothes, notions, buttons, etc. into fun new things. All designs and notions are hand applied. The remnants I have are very limited, so no two designs are ever exactly the same. 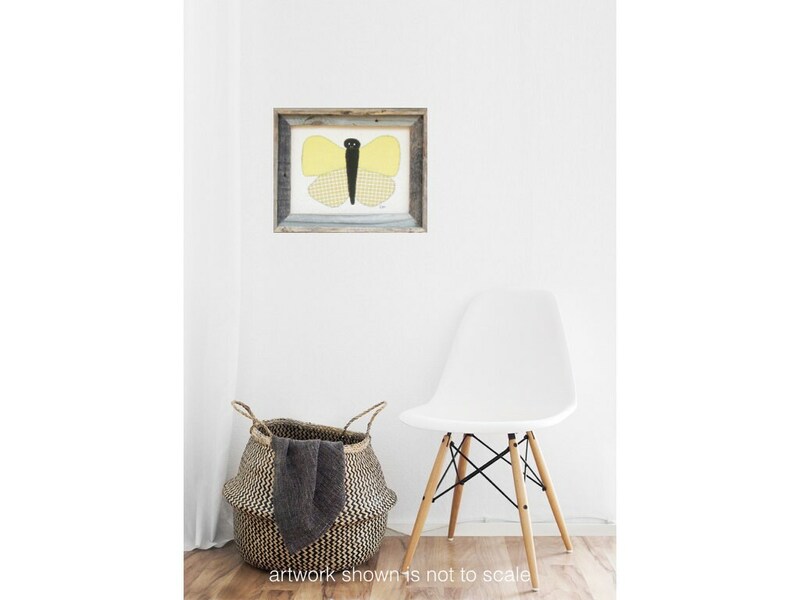 Once Yellow Checks Butterfly in Barn Wood is gone, it's gone. For custom orders of this design, please contact me for color preference. Be advised that while I can create a version of this design in your color preference, the fabric remnant used to create it will not be the same as shown, and will still be one of a kind.